Thank you for visiting Justice in Miami, currently it is under construction. Our mission is to empower citizens affected by the loss of a missing person. This site will focus on advocacy efforts, resources, support and advice for using social media and the internet to raise awareness for your missing loved one. 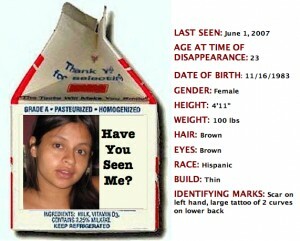 Were you looking for Justice in Miami for missing South Florida mother, Lilly Aramburo? Click on the link to go to the blog. Join the Friendfeed Missing Persons Room. Join the Flickr Missing Persons Group. Join the Mixx Missing Persons Community. Join the Care2 Missing Persons Group.